The open air markets in Paris have been in existence since the Middle Ages and are a necessity for Parisians. . Increasingly, visitors are renting Paris apartments so they can experience the joys of living like a Parisian. 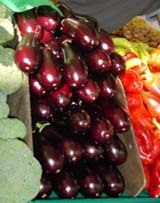 And there is no better way to experience it than to visit Parisâ€™ Open Air Markets. The French understand the importance of food and nothing demonstrates this better than the fabulous Paris open air markets. If you live in Paris, or rent an apartment in Paris, here is where you go to find freshly picked fruit and vegetables, fresh fish from Brittany and Normandy, meat, flowers, farmhouses cheeses, breads and much more. Food controls are very strict in France and you can be assured of their quality and cleanliness of preparation. 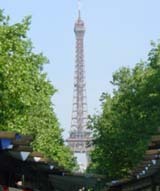 If youâ€™re planning on a trip to Paris, visiting the open air markets is the best Paris sightseeing idea we can offer! Stay in apartments in Paris and savor life at a slower pace. We highly recommend these apartments in Paris. Great Paris rentals, locations and excellent value. ParisPerfect.com has been around a long time, chooses beautiful apartments in the best and safest locations. Most of their apartments have Eiffel views and offer air conditioning. Local offices mean there is someone on the ground to take care of you â€“ the only Paris rentals company with a local presence. Paris sightseeing ideas and Paris tours: Plan a morning to tour an open air market; you wonâ€™t regret it. Send children on a mission to choose their favorite dish or dessert, a highlight of their Paris trip. There are over 70 in Paris and they have become almost a fixed monument in Paris. 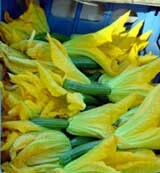 Many of the stall owners drive hundreds of miles to come to the market with their food and wares, even from Italy. It's worth the trip as Parisians have been coming to these markets to buy their food and household items since the 1500's. Farmers, bakers, fisherman and the other merchants come to the open air markets from all over France to sell at these markets and become well known for their specialties. The Parisians have been buying from the same merchants for decades and it's fun to listen to their repartee' with favorite merchants. It's truly a delight to visit these markets, whether to wander the aisles and savor the sights and smells, or to buy the ingredients for dinner that night. You don't have to be a gourmet cook or spend hours slaving over the stove, as many vendors sell fully prepared dishes, from pate's to roasted chickens. To fall in love with Paris, you should experience life here as the Parisians and visit some of these markets. On the following pages, we describe a few of them, along with their opening times and directions so you can enjoy discovering them as well. We have focused on our favorite four markets which are conveniently located in or near the 7th arrondissement, on the Left Bank near the Eiffel Tower. There are several wonderful quartiers in Paris but this is one of our favorites because there are four open markets which you can walk to, including the famous rue Cler pedestrian market street. For your next Paris vacation, rent a Paris apartment in the 7th, you wonâ€™t regret it! Rue Cler: Open weekdays, all day Saturday and Sunday mornings. Many of the stores are closed on Mondays. We recommend that you go early in the morning as they do become crowded with Parisians doing their weekly shopping. You will enjoy browsing or shopping for food and tasty dishes for a gourmet picnic or to prepare a feast for dinner. Each market is lively and different, making it an adventure to explore all of them.